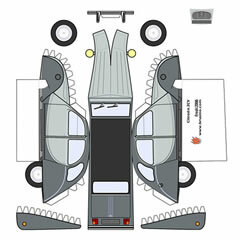 Simply select the right shape and colour, and download one of hundreds 2CV papercraft models. 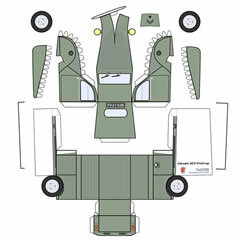 In total, there are about 300 models to download, all slightly different in colour and details, originally posted on Brusino.com. 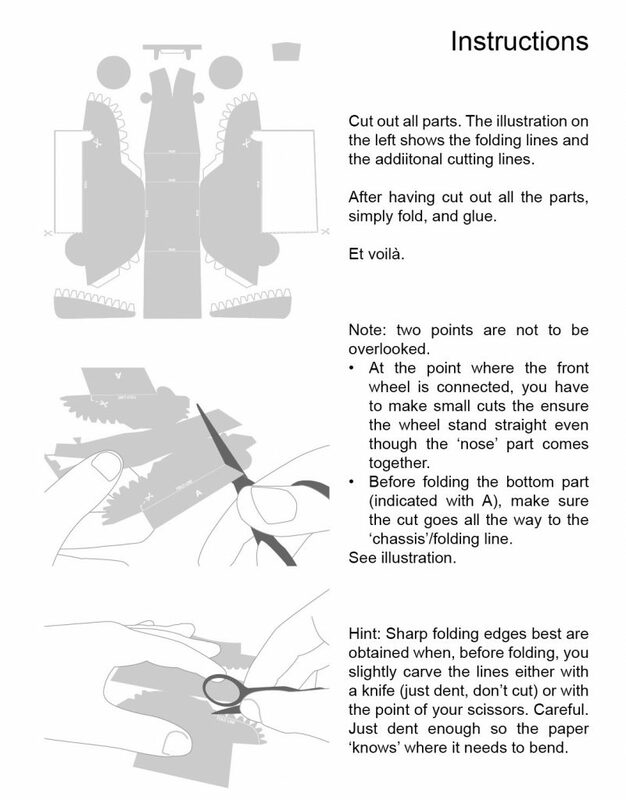 You might ask, what drives someone to create such an amount of paper models. Even if they all are similar, they represent a significant amount of invested time. It all started at the time I was living like a ‘globetrotter’, and traveling a lot for work. Being away from home most of the week, I began to build simple paper-craft models on Saturday morning with my daughter, at the time about 5 years old. Driving a 2CV myself, I searched for a simple model. One, simple enough that we could build it together. This turned out to be difficult. 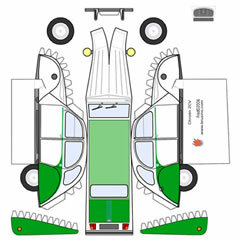 Yes, there are a few paper-craft models of the 2CV which are absolutely beautiful, but far too complex for a five year old. Even I almost gave up. Then there are those that are simple, but probably a bit too simplified. So I designed one myself, keeping it simple but with detail where it counts. OK, I admit, I went a little overboard. I started with one that was simple yet good enough. Soon a second, AK250 version was born, then one reflecting an early 1950’s version, etc. Before long I produced almost 10 different versions, trying to keep up with the major visible changes as detectable from old brochures and folders. They were still back and white, though. So, the next challenge was colour to apply. Preferably a realistic one. Luckily Cats Citroën pages and the Dutch Ami association listed Citroën-colours, i.e. AC colours grouped by year, which was a good start, although regretfully your average Photoshop has no clue about the AC standard. 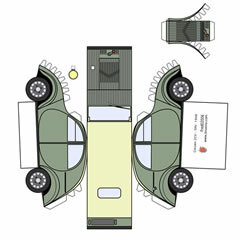 Together with samples from photos found on various Citroën enthusiast sites (e.g. an DS/ID page, an impressive AMI page, or a Dyane page) resulted in the still growing overview of coloured models. 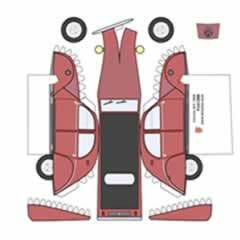 Any of the 2CV icons in the table above is linked to a pdf document with a papercraft model. Click to download.